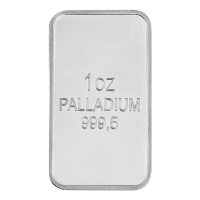 Buy this memorable 999 pure 1 kilo silver coin featuring the Koala. 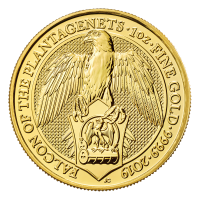 One of the best loved coin series from the Perth Mint, we ship worldwide. The reverse of this issue is an image of a koala sitting beside a eucalyptus tree, with another tree in the background. The details of the koala and the foliage surrounding it are up to the Perth Mint's usual high standards. 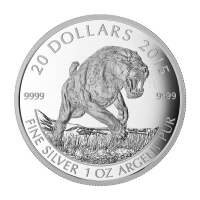 The words "Australian Koala 2017 1 kg 999 Silver" and the Perth Mint mark "P" complete the design. Reverse Koala sitting beside a eucalyptus tree, with another tree in the background and the words "Australian Koala 2017 1 kg 999 Silver" and the Perth Mint mark "P"
Koala sitting beside a eucalyptus tree, with another tree in the background and the words "Australian Koala 2017 1 kg 999 Silver" and the Perth Mint mark "P"
1 kg | kilo 2017 Australian Koala Silver Coin Buy this memorable 999 pure 1 kilo silver coin featuring the Koala. 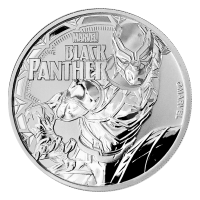 One of the best loved coin series from the Perth Mint, we ship worldwide. 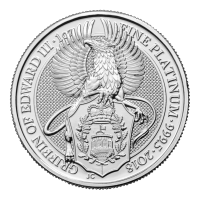 This design continues the tradition of the Perth Mint Koala silver coin. This perennial favourite is one of the most popular designs by the Perth Mint and features one of Australia's most lovable creatures in various poses and aspects of its habitat. The reverse of this issue is an image of a koala sitting beside a eucalyptus tree, with another tree in the background. The details of the koala and the foliage surrounding it are up to the Perth Mint's usual high standards. 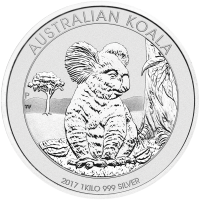 The words "Australian Koala 2017 1 kg 999 Silver" and the Perth Mint mark "P" complete the design.